WHAT amounts to a cross between a bicycle and a coaster sled was recently introduced for the delectation of winter sports enthusiasts. Designed for rapid travel down an incline or on either ice or snow, the device has a single runner with handle bars and foot-brake, as shown in the photo at right. 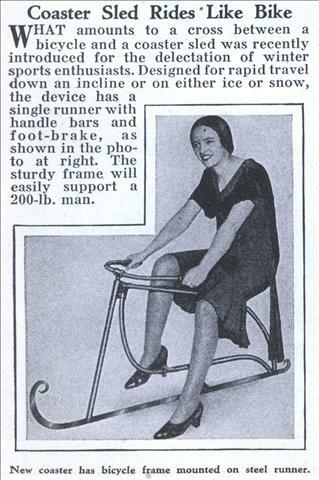 The sturdy frame will easily support a 200-lb. man. It looks like the foot brake is a foot. 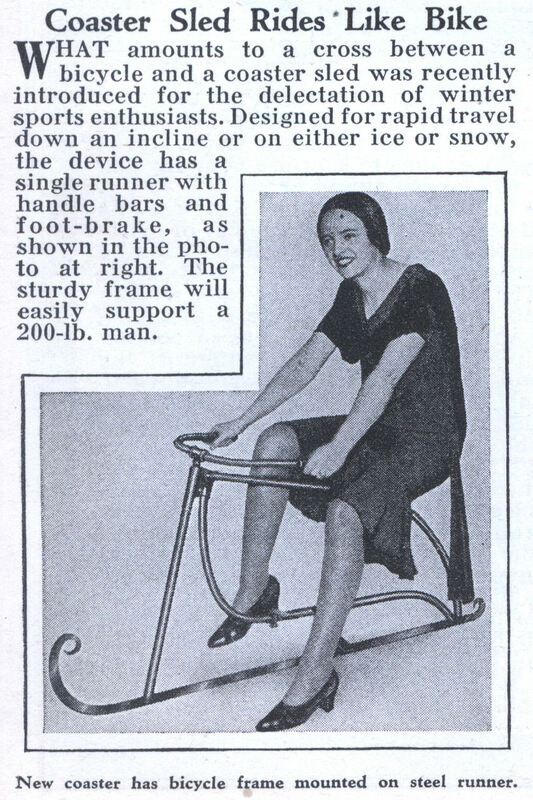 I believe this invention will achieve “rapid travel” down an incline of ice, but an option for steering might be nice. Votre blog est ma cure de bonne humeur quotidienne. MERCI et continuez Ã me ravir de la sorte ! What a nice message from French speaking reader. Since I don’t speak the language I used Google translator, I hope it’s close. Your blog is my cure in a good mood every day. Thank you and continue to delight me that way! Wow, that is really sweet. 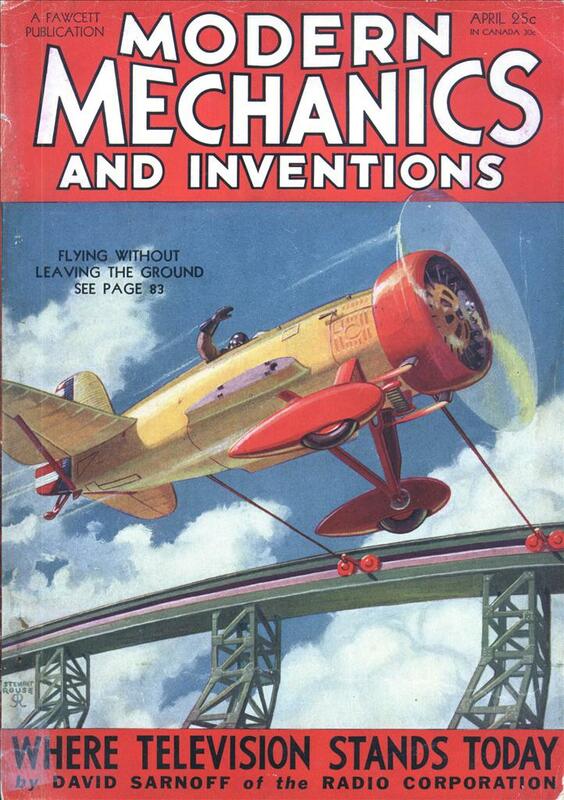 I’d like to see her race against the guy with the 1922 version. Wouldn’t her dress be up around her waist after the first 10 feet? Why is she wearing a dress in the first place? Seems like a short dress and heels aren’t the best snow apparel. How would one stay balanced? This looks like sitting on a big ice-skate. High heels and a skirt, just what every woman wears for winter sports! I love how Modern Mechanix never decided to say, “You know, this would probably kill you if you actually tried to use it…” This calls out for a comment like that as few of their articles do.